Ladies, are you looking for a small pink tool set? How about a pink multi-tool? Here at Safety Girl we have just what you need. Check out our selection of pink tool sets. Available in several sizes, these women's tool sets are perfect for the college student or for the single mom. Don't need a complete tool set? Check out our selection of pink multi-tools, they are sure to please. Get yours today. Tools kits for women can be used around the home or taken to work. These kits contain a combination of hand tools, and the occasional power tools, and are needed for basic household repairs. These can be used for on-the-job work as well; especially if you need a hand tool for finer work. Use one of these tool kits in conjunction with your power tools at work or keep one around your home for various repairs. Choose from smaller 39-piece and larger 135-piece kits in our store that include pliers, screwdrivers, hammers, and other basic hand tools. All tool kits for women in our selection are presented in black and pink tool cases. The tools inside, in addition, are designed with pink handles and are treated to resist corrosion. Not all of the womens tools we carry come in kits, however, and such items, such as rechargeable screw drivers and multi-tools, are also made for women. 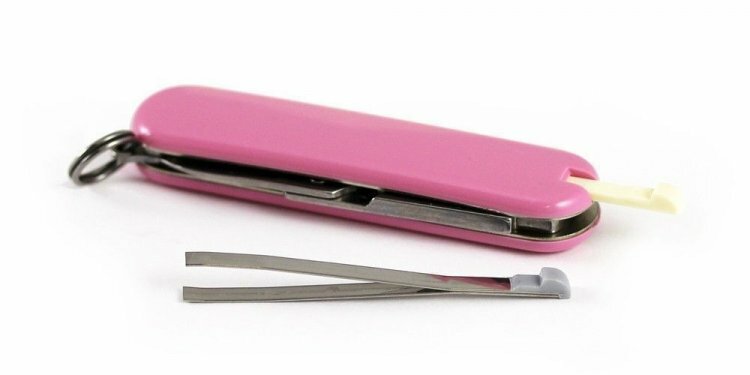 Aside from having similar pink handles, both multi-tools and rechargeable screwdrivers can be used at home or taken to the workplace for finer tasks. As pink tools for women are popular, you can choose from sets of pink tools and individual tools, such as pliers or screwdrivers, with pink handles.